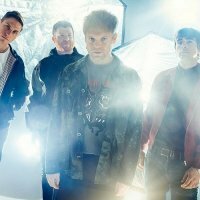 Now it isn't often you see the word 'Hatfield' in a music article, unless you're reading about the early roster of Virgin Records' prog-rock days (Hatfield & The North, trainspotters), but the town is deserving of a mention due to the rock act Enter Shikari. Y'see, they hail from the town and are set to return to the local university venue for a special one-off evening, featuring special guests. The date is 18th December, the place is the uni's Forum and the line-up includes Young Guns and Rolo Tomassi in support. Tickets go on sale this Friday at 9am, priced at £16 plus fees. The idea behind the gig is simple - to say 'au revoir' to the fans before taking a hiatus from live performances. Don't panic, they have a new album to work on during 2011 and have no intention of rushing it! Prior to their homecoming, the band are supporting 30 Seconds To Mars on their UK tour, tickets for which are still available (except the 29th November date in Brighton which has sold out - the 25th IS still available). Don't forget as well about Young Guns who are also on tour during October and November, including a homecoming of their own in High Wycombe this Saturday (sold out). Busy times indeed.